Real Madrid superstar, Cristiano Ronaldo has said he wants to have seven children and win the same number of Ballons d'Or. According to L'Equipe reports. The footballer recently had his fourth child, and is expected to win his fifth Ballon d'Or when the award is announced next month. But the 32-year-old has still come in for recent criticism, as his return of one goal in seven La Liga matches this season is far below his usual output. 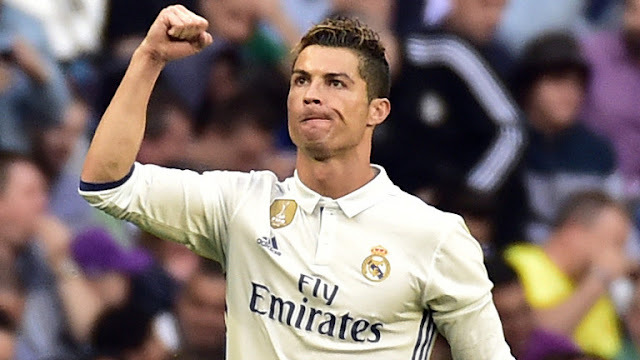 In an interview with L'Equipe, Ronaldo said he is staying calm after his slow start to the league campaign, insisting he can contribute more to his team than just goals. "I'm happy and I feel good, you have to stay calm and keep working, because you can obviously do better," Ronaldo said. "You look at me as a goal machine, like a guy who has to score all the time. If that's not the case, everybody does not care if I know I have played well or not. "I am only judged on scoring, which is sometimes not always the most important thing. "I accept the criticism, but I do not agree. That's why I avoid reading or hearing what is said about me. "But, I have no choice but to accept it, I cannot control the world." "I want seven children and the same number of Ballons d'Or," Ronaldo said. "That means that I do not intend to stop there. As long as I play, I will win all I can win. "My dream is the fifth Ballon d'Or, and next year there will be another one to go. "